Eight years in the making, this book charts Nadine Gordimer's life and work, providing a vibrant portrait of the country in which Gordimer lives, the history she lived through, and the people around her-people in South Africa, such as Nelson Mandela, George Bizos, Es'kia Mphahlele, Bram Fischer, Nat Nakasa, Desmond Tutu and Alan Paton; and people abroad, including Susan Sontag, Salman Rushdie, Anthony Sampson, Edward Said, Amos Oz, Harry Levin and <em>New Yorker</em> editor, Katherine White. 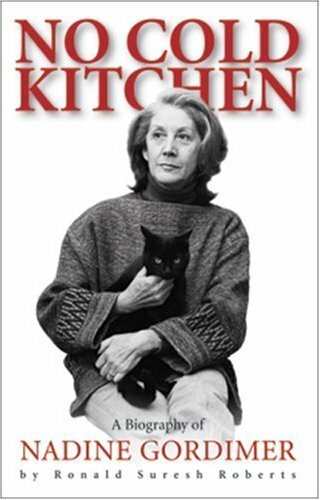 <br><br>Drawing upon unprecedented access to Gordimer and her documents, <em>No Cold Kitchen</em> gives sympathetic but rigorous attention to the full range of Gordimer's work, teasing out the inevitable contradictions between her public and private voices and granting the reader an intimate insight into what Gordimer underwent and overcame, both during apartheid and afterwards. The author shrewdly chronicles the drive that led Gordimer, who described herself as a ""barefoot girl from Springs,"" to a Nobel Prize for literature. "As complex (but hugely enjoyable) as the examined life which this great South African author must surely have enjoyed living." --"The Cape Times"
"Since it appeared last year, Roberts's biography, "No Cold Kitchen", has been the talk of literary South Africa." --"The New York Times Book Review"
This book, which has been eight years in the making, is a breathtakingly comprehensive account of one of South Africa's most fascinating literary personalities. More than just a chronicle of Gordimer's richly-lived life, Roberts' work gives the reader a window into the world - a world both changing and much changed; a world of letters, rich in opinion and deep in thought; an evolving world of political conflict and struggle, of style and celebrity.